Have no idea where to go to a winter vacation in the Us ? But again it is my opinion. Whether for its ideal location, right smack in between the Great Lakes and the Mississippi River, or for its happening nightlife, Chicago is a place worth visiting. Often referred to as the "birthplace of jazz". Chicago is known for its amazing live music venues as well as its cutting edge architecture, which is best experienced in Millennium Park, an outdoor shopping area full of top-rated restaurants and modern art visual effects. For those seeking a city experience with a touch of hometown wonder, San Francisco is the place to see! Situated with the Pacific Coast to the left and the San Francisco Bay to the east, this well-known city is treasured for its rolling hills and welcoming nature. The Golden Gate Bridge is a highlighted landmark, as well as Market Street, a downtown hotspot featuring the famous trolley cars and street vendors. 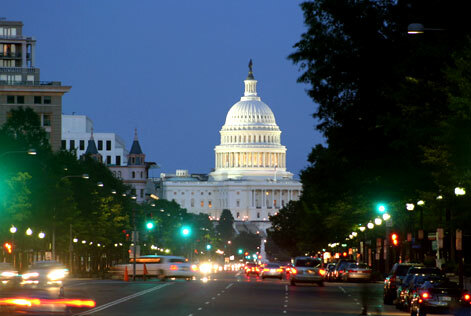 Nestled between Virginia, Maryland and the Potomac River sits our nation's capital city, Washington, D.C. Known for her political prestige, Washington, D.C. is a sight to see. Considered one of the most traveled cities, especially in the spring when cherry blossoms line the streets, Washington, D.C. offers you a chance to see change in the making with tourist attractions like The White House, The Library of Congress, and the Smithsonian Art Museum. You can also appreciate glimpses of the past through landmarks such as the Jefferson Memorial, the Lincoln Memorial, and the Washington Monument. Sometimes referred to as the middle city of our nation, Denver is situated along the iconic Rocky Mountains, and offers its tourists an average of 300 days of sunshine a year. Whether you are visiting to ski or snowboard some of the best snow trails in the U.S., or simply sit by a fire and enjoy the view, Denver won't disappoint. Much of California is noted for its beautiful beaches and warm weather; however its largest city, Los Angeles, offers all that and more. With its sprawling city limits, Los Angeles is considered a crossroads of international culture, cuisine, entertainment, and fashions. Landmarks are sprinkled all over the city, some of which are the famous Hollywood sign, Kodak Theatre, and the Frank Gehry designed Walt Disney Concert Hall. Although typically known as a college town, Boston is the largest city in New England and brings with it a deep sense of history and beauty. Situated with its skyline set along the Boston Harbor, the city offers an array of shopping districts, coffee shops, and bars. When visiting, be sure to by the famous Faneuil Hall for a day of sightseeing along cobblestone streets. Other great spots to visit include the Boston Opera House, the Charles River, and the Cutler Majestic Theatre. 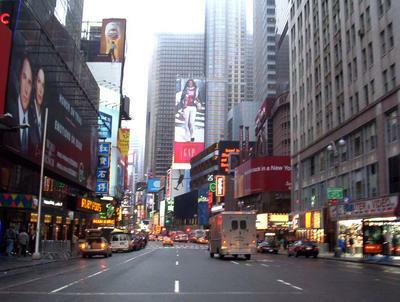 Recognized as "The Big Apple" for its magnificent nature, New York City offers an ideal destination for those seeking a nightlife-oriented getaway full of live music, world-class restaurants, Broadway shows, and bright city lights. New York City offers a list of landmarks that can't be missed like The Statue of Liberty, Wall Street, the Brooklyn Bridge and Manhattan Island. Here is a city that needs no introduction. Las Vegas, considered the "Entertainment Capital of the World" is famous for its bright lights, unparalleled gambling scene, and extravagant restaurants. It's worth visiting if only for the bragging rights and photo opportunities in front of the Bellagio Fountains or the White Tigers at the Mirage Hotel. For a momentary break from the poker tables, The Grand Canyon and Hoover Damn are popular day trips for tourists of Las Vegas. For those rolling their eyes at the mention of a city often noted for its rainy days and coffee addicts, Seattle makes the list for its beautiful city skyline and outdoor adventures. This city offers the "outdoorsy types" everything from sailing to camping to bicycling. For those that are searching for a more cultural adventure, Seattle's Pike Place Market, and the famous Space Needle can't be missed. Although much of Miami is visited year-round, no part of the city is as frequently traveled and enjoyed as South Beach. This over-the-top beach is the oldest section of Miami and is best known for its popular restaurants, and vibrant nightlife scene. South Beach is also famous for beautiful people, its landmark brightly-colored lifeguard stands, and of course the sunshine enjoyed year-round. I definitely agree with those choices..really great! You might want to also check out Detroit I think it has some very interesting stuff to offer like the Renaissance Center, Greektown, Charles H. Wright Museum of African American History and the Detroit Institute of Arts. It's just a generally a fun, friendly place to be! You can find out more about Detroit [url=http://www.visitdetroit.com/]here[/url]. I think of these Denver would be my number one to visit in the winter - the skiing is amazing like you say. In fact, Colorado in general is great for skiing! I particularly like the Breckenridge resort. I would prefer Seattle and Boston for a Winter Trip. As per my views, You can consider Florida is a gorgeous state with lots of sun and nice beaches. Another you may visit is Northern California. San Francisco is a beautiful, large old city surrounded by water on three sides, the San Francisco Bay to the east, the Golden Gate to the north, and the Pacific Ocean to the west. That was a great info charlie.Hope it seems to be a great resource for people who travel for the very first time to US cities. Vail, Colorado is also an awesome place to go if you are into skiing. It is beautiful there and is a much smaller city. I'd prefer San Francisco over San Diego. Weather won't be so good,more like a cooler Sydney winter, but I think it offers more,including day trips to the Redwood forest to the north, or down south to Monterey and Carmel by the Sea. Might check out the websites for more information.NYC and Chicago are in winter in December, but, of course, they offer a lot.Lots of first time vistors to the States are very happy with two weeks in the West: Grand Canyon and Vegas and the scenery on the way there from SF, maybe going on to San Diego, which is also really nice - I just would pick SF for someone who was only going to one place.Or - staying in the West - you can make a roundtrip: SF, Vegas, SD and back of the coast to SF. I like the Miami idea best!! I would keep going a little further South though and take a guided fishing trip in the Keys!! Boston and Las vegas are one of my favorites to spend my holidays in winter. They have got almost everything for everyone, one will definitely find something of their interest. Boston’s Southern End, full of organic stores and restaurants, ancient brownstones and innovative power, is a excellent place to end a wintry day. Chicago and Boston are my favourite place in US for a winter trip.Even during the winter, you can still enjoy Boston’s top attractions which include hopping on a trolley tour, or horse-drawn carriage and talking a walk along the historic Freedom Trail. I actually think South Lake Tahoe is the best placw for a winter trip. I love outdoor sports and enjoy skiing and snowboarding in the mountains of south lake tahoe. The view is beautiful on top and there are may cool slopes in that area. There are also many events and activities that take place during the winter season.